Our thrift stores are an important piece to our organization, all proceeds from purchases help fund programs and services for Idaho’s most vulnerable kids. With the help of our volunteers our process from sorting donations to providing customer service makes a big difference. 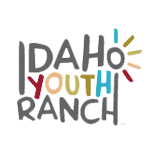 Thank you Hazen for your generous work in supporting Idaho Youth Ranch- we are proud to have you here!